these wonderful photos of colorful homes in .new orleans. taken by my friend .annis. can be found over on our .colormeblogg. today. I love the detailed patterns on the home in the first photo. 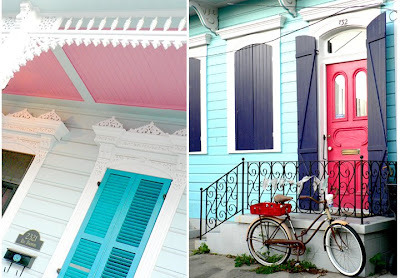 New Orleans really is a great place to find bright colors on homes!